This entry was posted on September 13, 2013, 12:46 am and is filed under protest and resistance. You can follow any responses to this entry through RSS 2.0. You can leave a response, or trackback from your own site. 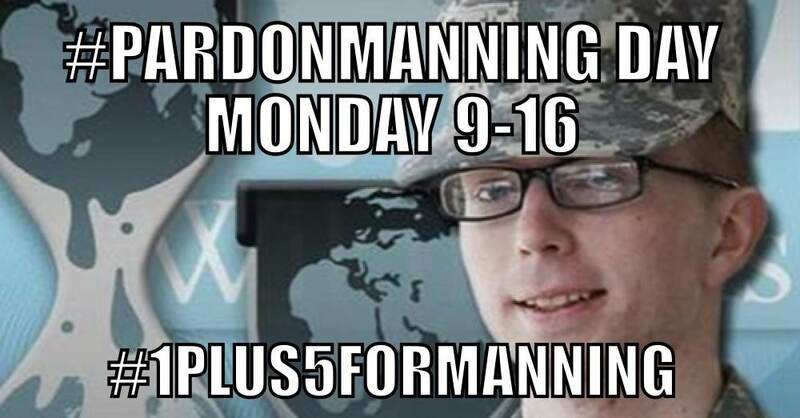 What Manning has done is all beneficial and in no way harmful to anyone. The Pentagon heads need to figure out what most of us learned from our parents: If you don’t want to hear about it, don’t do it. How do you the White House is not deliberately undercounting the number of petitioners? Why not use Signon.org? Or Salsa? I would not trust the White House website to keep count of petitioners for Chelsea.#FreeChelsea. -RF.